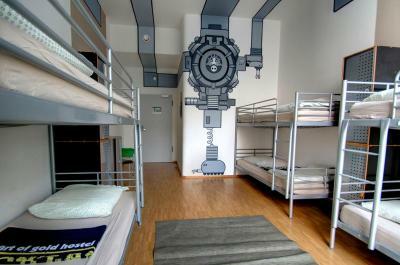 Lock in a great price for Heart of Gold Hostel Berlin – rated 8.5 by recent guests! 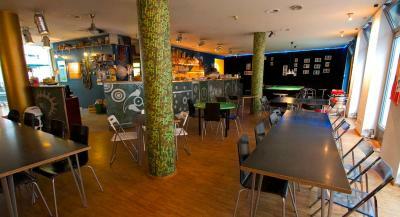 Everything was amazing in the hostel, staff where really helpful, the service at the. At was great to, beer have a great price, coffee and tea are free at anytime. The Situation ! Excellent The staff are also nice ! Rest of the things were perfect. Reception is very helpful and friendly. 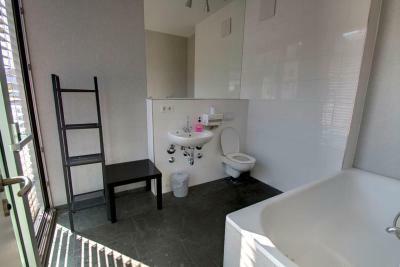 Bathrooms and toilets are very clean. Close to city center and central railway station. Nearest underground metro is just 5 minutes walk. Very much recommended. 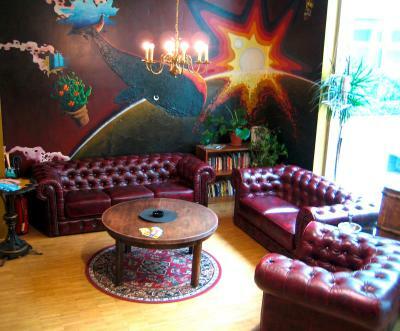 This is by far one of the best hostels I have ever stayed at. The staff was super friendly and helpful, the common area with the bar and happy our and music and no corfew was the best. Breakfast abundant and affordable. Free coffee and tea and milk 24 hours a day is definitely admirable and generous. I have already made it my home in Berlin. The location couldn't be any better. Perfect for my taste and I have traveled a lot around the world as a solo traveler. The cleaning, breakfast, the people who attended, everything. Friendly staff, great location and very clean and comfy. Good location, lobby sound did not carry to bedroom, open spaces, and well maintained. One of our best sellers in Berlin! 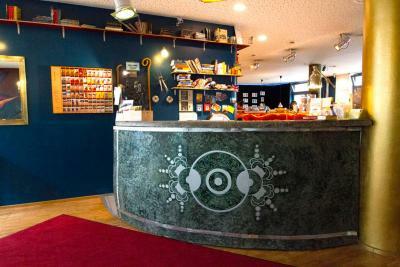 Just 15 minutes from Berlin Central Train Station by bus, this hostel features a 24-hour front desk, a garden and a lively bar. 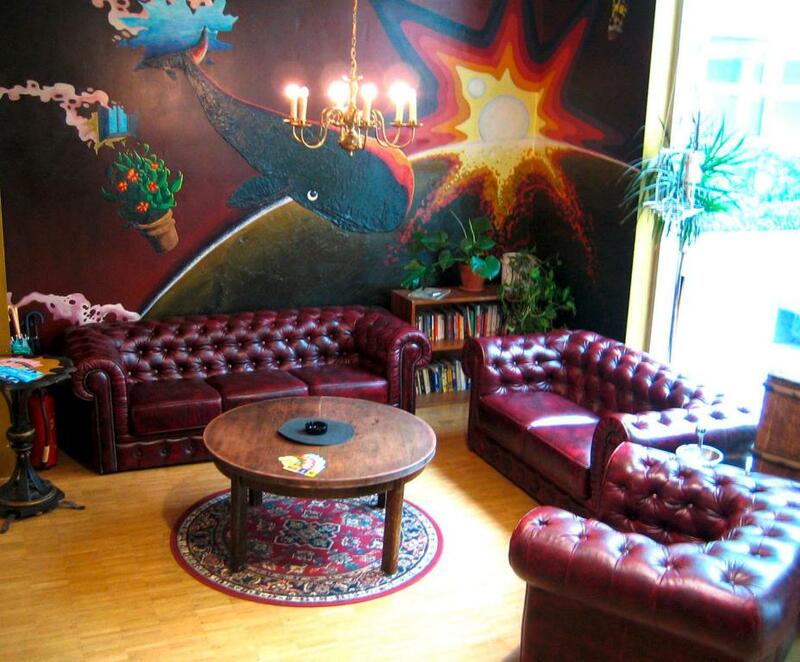 Heart of Gold Hostel Berlin is a 2-minute walk from the popular Museum Island. 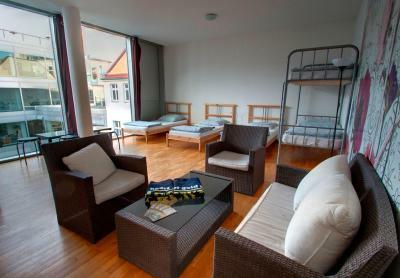 Other facilities at the property include a shared lounge, and the friendly staff can provide useful tips upon request. Wi-Fi access can also be booked. 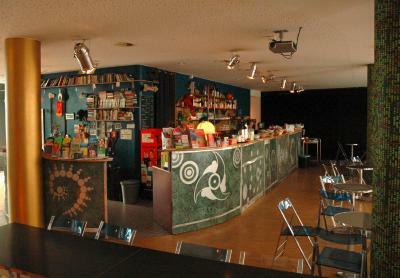 Breakfast is available at Heart of Gold Hostel Berlin until 12 pm daily. Guests are also welcome to relax on the comfortable sofas and take advantage of the little library. 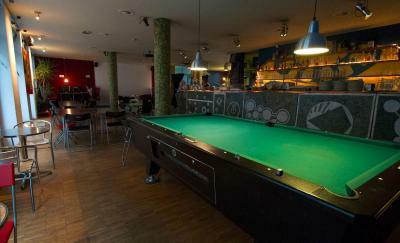 Only 350 feet from the hostel, many bars can be found on Oranienburgerstrasse. The Brandenburg Gate is just under 1 miles away. 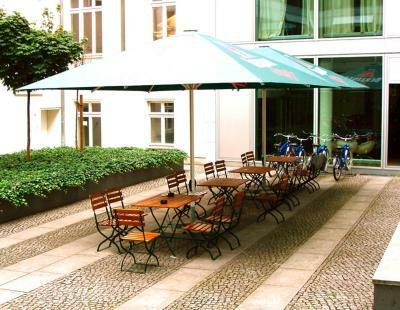 Berlin Tegel Airport is 5 miles from the hostel. 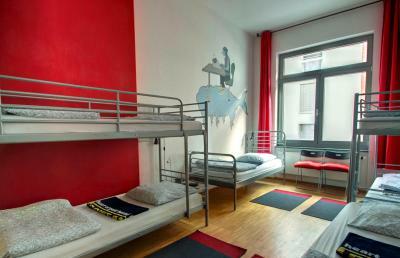 When would you like to stay at Heart of Gold Hostel Berlin? You will find a WC in the hallway. 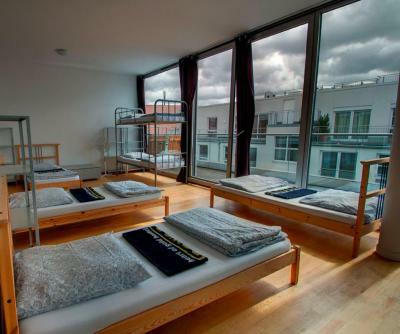 This dormitory room is 400 square yards. 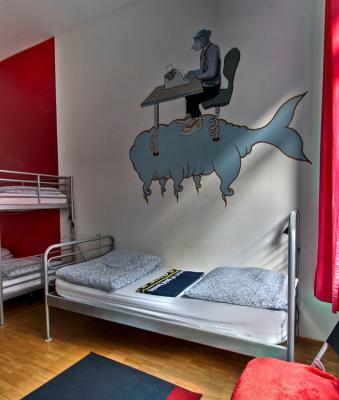 House Rules Heart of Gold Hostel Berlin takes special requests – add in the next step! 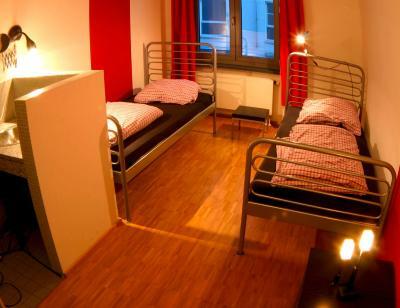 Children 16 and older are allowed at this hostel. 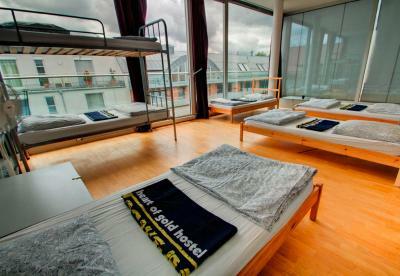 Heart of Gold Hostel Berlin accepts these cards and reserves the right to temporarily hold an amount prior to arrival. 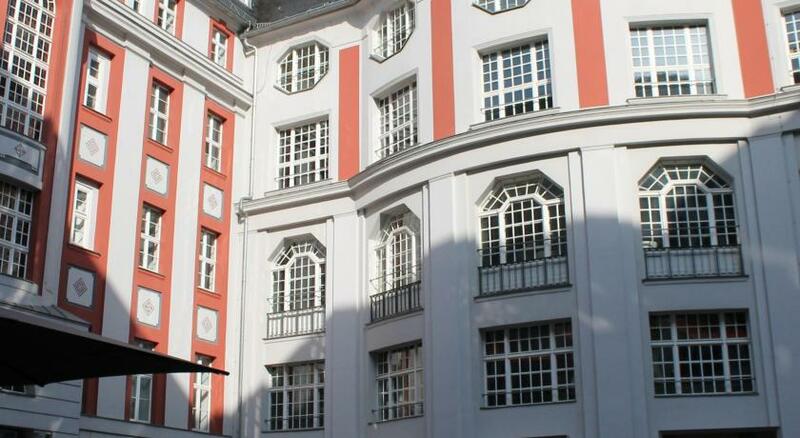 I slept in the mega dorm (which was the cheapest option but still kind of pricey) and unfortunately all the beds are very creaky so with a large amount of people, it made it a bit difficult to sleep. I liked the location. It was convenient for walking and for taking public transportation. 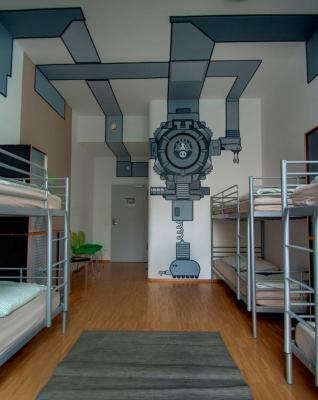 I also like the name and the design scheme of the hostel. 5 euro breakfast was sorry to me, many other people seem to like it though. Perfect location! 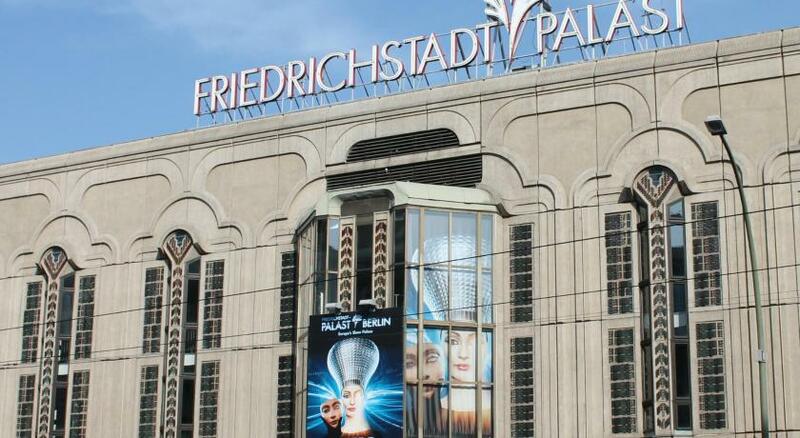 You can walk from the hostel through Mitte area to Hackescher Markt. 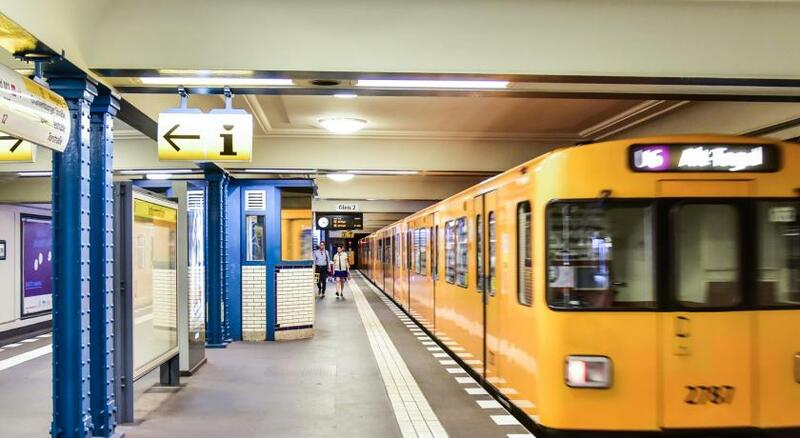 Surrounded by S/U bahn stations and tram/bus stops. 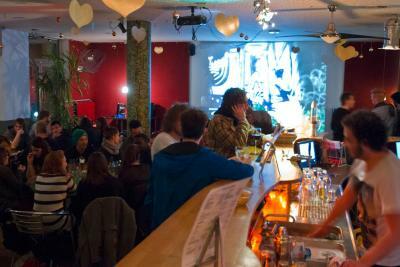 Had a good time in the evening at the hostel bar with roommates who met there and came from all over the world. Pleasant stay. There was a bed in the corner of room 502,baly noisy! whole night with every movement of a person bed made noise! The mattresses were terrible.. on all beds. Very old, overused, uncomfortable. The beds make noise even if you breathe deeper.. The dorm I stayed in connects to another one, which means in order for people to go to their dorm, they pass through the one I was in. And the dorm have each 20 people. So each time someone comes in, during the night at least, it will mean the door is opened. The location was good as there are multiple trams, trains. The area is quiet, safe. There was always a police car in the corner of the street. Free of charge towel. 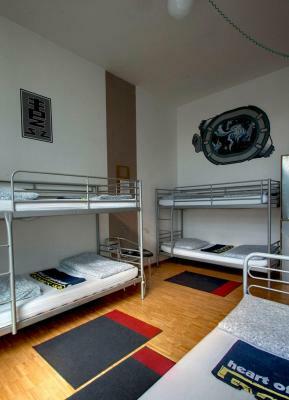 This hostel was the biggest disappointment of the whole trip. Starting with the staff that’s not helpful at all, always very grumpy. 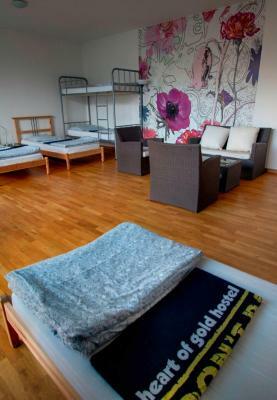 Regarding the room, the beds are not comfortable AT ALL, you cannot even move during the night without waking up everyone in the bedroom, very noisy bed. Staff used to walk in the room even at night with a weird speaker on, have no idea what that is. So if you want to take a nap during the afternoon you will often be awaken. There are also no curtains in the room, so it gets very light in the early morning. The only thing I feel not good is they didn't obey their own regulations, which people have to Check-in between 2:00 pm~0:00 am. But they allowed some people moved in after 2:00 am. 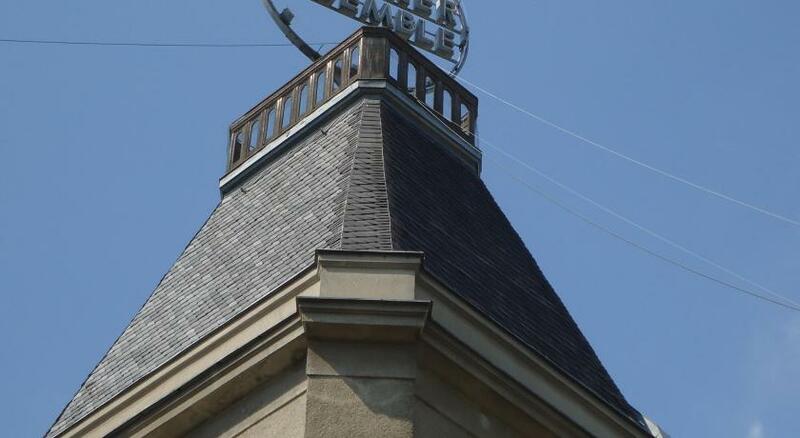 The position of it is so good, it is close to subway station and most of veiw spots, evenly you could go on foot! And not only staff, but also other guests are kind and interesting! The rooms and beds are also clean and bright. 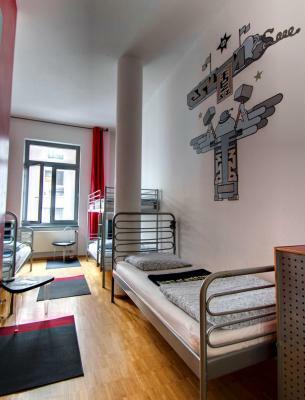 I think this is a good choice living in Berlin! The window in the room seemed broken, but happily it was good weather outside. Good location and comfy bed. location is perfect, near to all places you would to visit. I enjoyed the atmosphere, boosted by good music and helpful staff. The happy hour at the bar gets you in the mood for meeting new friends or watch a movie in the lobby. 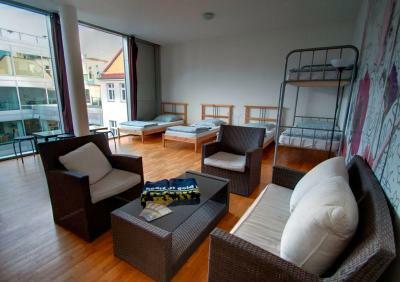 The rooms are clean, the hostel's location very good, close to the Alexanderplatz. All was good, except night, too many people in room and too many noise that prevents sleep. Creaking beds. 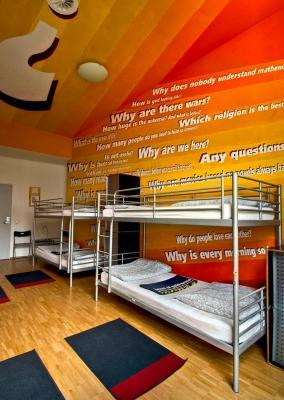 Nice hostel, right in center of Berlin.